Working visually is powerful. It's engaging. It's memorable. It's inclusive. We believe everyone can learn to work visually. Including you. At Graphic Change we've spent over a decade helping organizations globally to create positive change by communicating visually, with hand drawn big pictures, illustrations and whiteboard animations . We set up Graphic Change Academy to help more people learn simple, powerful visual skills to improve their communication. We set up Graphic Change® Academy to help more people learn simple, powerful visual skills to improve their communication. We run engaging and high quality courses and workshops for groups in person to get you drawing and thinking visually for your work. You can contact us here if you have any visual working training requests for your own organization. We also run visual thinking courses in our online Academy so you can learn in your own time, at your own pace to fit around your schedule, anywhere in the world (with a basic level of English). This is no ordinary online training: the Graphic Change® Academy hosts clear, simple tutorials taking you through everything you need to know across a range of visual practices. You get a unique login ID with access to our online community and individual feedback from a practitioner so you can get the most out of each course. We think it's the best of all learning combinations. Scroll down for our current range of online courses. A brilliant place to start if you don't have drawing confidence. Working more visually will help you engage people more, help people remember what you say, and communicate more clearly at work. Warm up your visual thinking mojo and learn to draw simple icons that will help you build up your visual muscle memory. No drawing skills required. You've got nothing to lose but your fear! Sign up to join the next free Boot Camp! Designed as a follow on course from the Draw More Boot Camp, this course is for those of you who don't feel ready to jump into one of our big courses, but do want to carry on learning. 8 lessons designed to move your drawing onto the next level, adding detail and character to your functional drawings. Level Up option to tackle a more advanced drawing challenge. Easy-to-follow exercises with illustrations and videos to help you continue building your functional drawing skills. Just sign up and you'll get instant access! *Heads up - this course is included as bonus FREE material in our full courses. This is a self-paced course; book yourself on and begin anytime! This is the course for you if you want to take your facilitation and training skills to the next level. Working visually will engage your audience and communicate your content with real impact. It also takes the work out of running a workshop. Based on years of tried and tested in-person training content, this online course gives you the practical know-how to start using visual skills and tools, whether you're running workshops, delivering sessions or training people face-to-face. 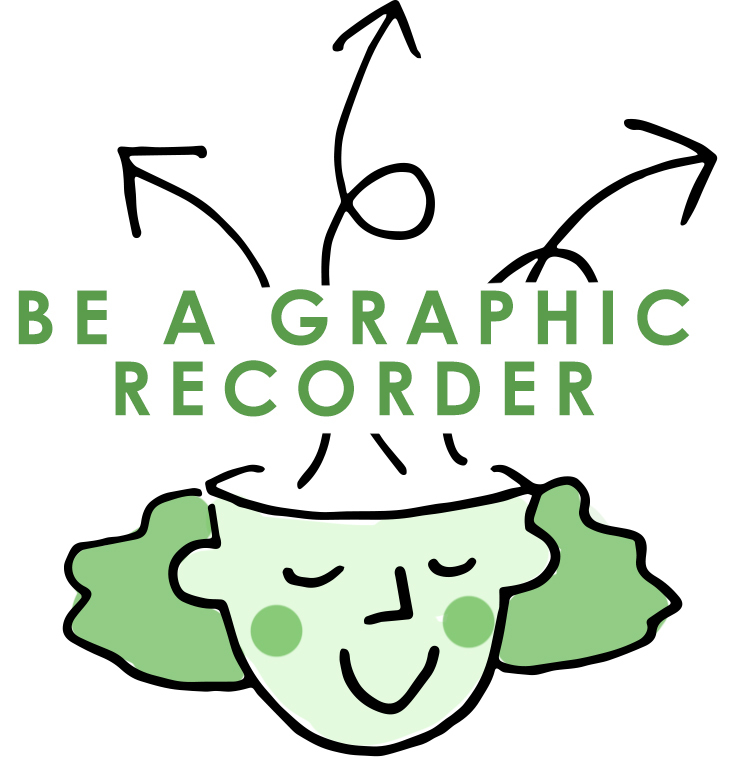 Based on years of tried and tested in-person training content, if you want to become a professional Graphic Recorder, this online course is for you. Whether you're just starting out or are already out there doing it, this course is a great skills boost. Using over a decade of experience drawing live at meetings and events, Cara Holland will join you on a journey designed to get you really thinking about your live, real time drawing practice and moving it on to the next level. This is a unique opportunity to learn directly from one of the most established practitioners in the UK (check out our client list) without even having to leave your home or office!